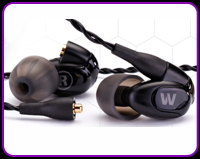 Universal fit earphones and in-ear monitors are the perfect solution for those who want a no-compromise approach to high-end sound in a lightweight, exceptionally comfortable package. 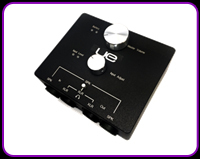 UM products are packed with features and a sound signature optimized for the professional on-stage musician. 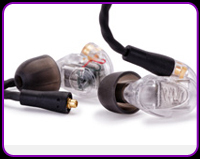 Those looking to energize recorded music also appreciate our UM Series in-ear monitors. And now introducing the Adventure Series - The world's first cross-over earphone. Designed for active users, this new category of cross-over earphones can be enjoyed in any environment. 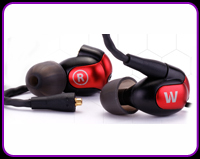 The Ultimate Ears 900s Noise-Isolating Earphones were designed to make your music come alive–to reveal layers and details you never knew were there. 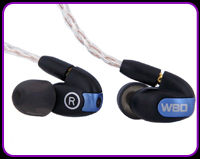 They transcend a technological device–unlocking the depth, richness and emotion of the music you love. 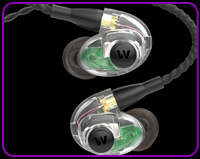 The UE 900s features four precision-balanced armature speakers per ear—two for low end, one for mid-range, and one for high frequencies. 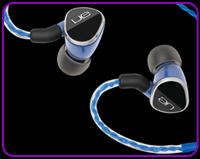 Nothing short of a revelation, the UE 900s beautifully reproduces the highest highs and the lowest lows. 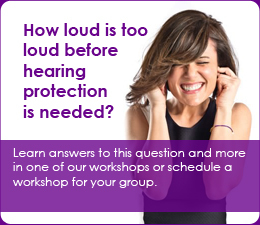 Sound Tap works with any stage setup and with any type of in-ear monitor or headphone. It sits between any mixing board or speaker. Supports both line-level and speaker-level inputs. The Sound Tap will work with all brands of monitors, both custom, and universal. 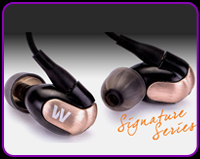 Hand-crafted in Colorado Springs for musicians by musicians, the Signature Series is the premier product for music playback and monitoring. 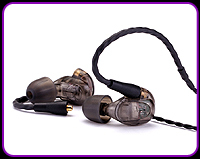 Designed with five balanced armature drivers and a three-way crossover, the UM Pro 50 is the pinnacle of design, comfort and fidelity. 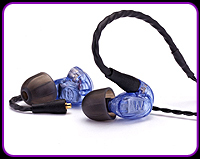 The UM Pro 30's superior build quality and sound signature are unmatched. Tuned for performing artists, the three-way crossover is matched to individual low, mid and high frequency drivers to make your mix smooth and balanced across all frequencies. The EPIC replaceable cable with Up and Over™ cable routing helps prevent microphonics and keeps your earphones securely in place. Available in smoke and clear. 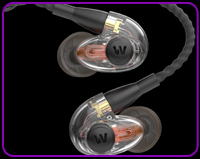 The Westone UM Pro 10 delivers extraordinary detail and clarity in a compact ergonomic package. 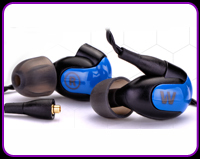 Sound isolating Star and True-Fit tips, in multiple sizes, give a personalized fit. The EPIC replaceable cable with Up and Over™ cable routing helps prevent microphonics and keeps the earphone securely in place. Available in blue, red and clear. 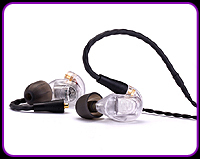 Designed for performing artist, this micro balanced armature driver design has a high fidelity filter that allows you to hear your ambient environment. 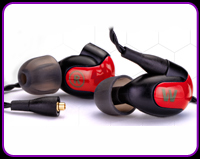 The NEW Signature W80 features eight proprietary drivers impeccably tuned with a passive 3-way crossover to create an unbelievably immersive listening experience. DRIVER: 6 balanced armature drivers with a 3-way crossover. Available in blue, black or red.with inter-changeable faceplates. 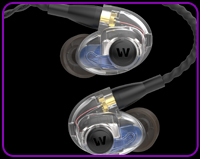 Designed for the serious audiophile, the W30 uses separate bass, mid-range and high frequency balanced armature drivers in conjunction with an advanced 3-way crossover for a truly awesome listening experience. DRIVER: Dual balanced armature drivers with a crossover.